Thanks to the generosity of local individuals, families and businesses, the Community Foundation for Monterey County (CFMC) announced that more than $1.43 million in scholarship awards is available for Monterey County students who aspire to attend college. The CFMC has increased its focus on scholarships, doubling the dollar amount of scholarships awarded from 2017 to 2018. In 2017, the CFMC awarded 225 scholarships totaling $750,000. In 2018, those figures grew to 375 scholarships totaling $1,300,000. Students can apply through the CFMC’s online scholarship system: https://www.cfmco.org/ScholarshipApp. One application allows students to access up to 37 different scholarship offerings they may qualify for. Separate applications are available for additional scholarships. The deadline to complete an application for the 2019/2020 academic year is Friday, March 15, 2019. Recipients will be announced at the end of April 2019. Students can also find scholarship resources at www.cfmco.org/scholarships. 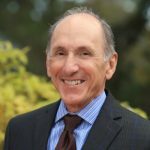 The CFMC has recognized the challenges for Monterey County students to access higher education. We’re committed to increasing opportunity for young people.” says Dan Baldwin, CFMC President/CEO. Scholarship funding that removes financial obstacles for motivated students has had dramatic results. 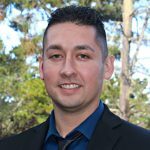 “I honestly thought going to college was something I would not be able to afford because I come from a humble agricultural family – my parents would tell me to study hard, so I wouldn’t end up in the fields,” said Ismael Rocha, a King City High School graduate and CFMC scholarship recipient now attending CSUMB. Individuals wanting to contribute to an existing scholarship or create their own can call 831.375.9712 or visit www.cfmco.org/scholarships to learn more. College degrees are vital to a thriving economy in Monterey County. Too many local young people with the ability and desire to succeed in school lack the support to do so. Although 75% of Monterey County high school students aspire to attend college (Impact Monterey County), only 33% are eligible to apply to a four-year public university in California. In some local high schools, that figure is as low as 5%. 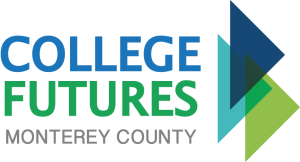 In addition to partnering with individuals, businesses and nonprofits to establish scholarships, growth has come from the CFMC’s College Futures Monterey County initiative. 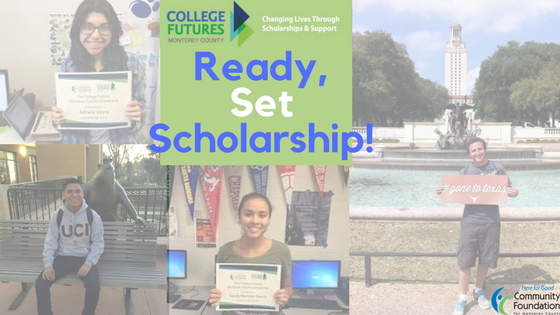 In this collaboration between the CFMC, College Futures Foundation, students at ten high schools with the lowest rates of college attendance are supported with scholarships to the college of their choice. They also receive training on financial aid, financial literacy, college applications, and academic preparedness from a college readiness advisor to attend the college of their choice. Participating high schools are: Alisal High School, Greenfield High School, Gonzales High School, King City High School, North Monterey County High School, North Salinas High School, Seaside High School, Soledad High School, Everett Alvarez High School and Salinas High School. 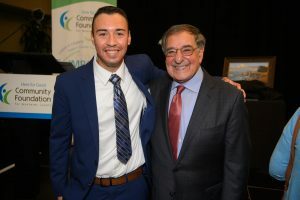 College Futures Foundation will match donations to the program so that the CFMC can increase scholarships and help students achieve their potential and graduate college. To learn more visit www.cfmco.org/collegefutures. The mission of the CFMC is to inspire philanthropy and be a catalyst for strengthening communities throughout Monterey County. Thanks to generous individuals, families and businesses who have created charitable funds, the CFMC has granted more than $185 million to nonprofits working towards healthy, safe, vibrant communities. In 2018 the foundation awarded $18.7 million in grants and reached more than $250 million in total assets. For more information about the CFMC or to open a scholarship fund visit www.cfmco.org, call 831.375.9712 or stay connected at www.facebook.com/cfmco or www.twitter.com/cfmco.